In North Carolina, being caught ignoring a traffic signal, a stop sign or a yield sign can potentially lead to an individual be ticketed. In any case, the lawyers at Powers Law Firm can help you understand what your next move can be when you receive such citations. Traffic signals are part of everyday driving. By ignoring them or failing to obey them, a driver can possibly be putting many people at unnecessary risk. Many have caught themselves driving carelessly, zoning out because driving has become so routine and mundane that they cannot manage to focus on the act. Driving the same route day-in and day-out can lead to this kind of complacency; unfortunately, this complacency can possibly lead to a ticket. Acts like not coming to a complete stop can be considered failure to obey traffic signals. Performing a rolling stop is one of the more common infractions that can lead police to pull individuals over. Driving through a red light or even a yellow light can give traffic officers reason to cite a driver. Many of these traffic violations can come with points attached, and North Carolina traffic citations can add up. As they do, the points can accumulate and have the potential to cause the suspension of a driver's license. After 12 points within three years, drivers may begin to worry that their licenses will be suspended. The suspension can possibly last up to six months on a driver’s first point-associated license suspension. After the first suspension and if a driver's license is reinstated, it may only take eight points within three years for the license to be suspended again. Those in dire straits regarding their possible license suspension look to lawyers for help with preventing the pending suspension. Those looking for assistance with tickets involving failure to obey traffic signals can look to Powers Law Firm for help understanding the next steps that should be taken. 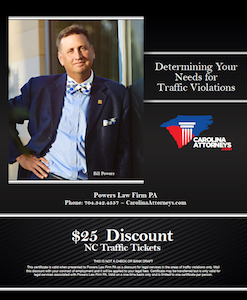 If you or someone you know has recently been received a failure to obey North Carolina traffic violation, consider turning to Powers Law Firm for help. Fair to obey can mean a lot of different things when it comes to traffic law. In this instance, we often times refer it to failure to obey traffic signals meaning, you did a slow turn on pavement stop, you didn't stop all the way. You made an illegal turn against the light, you got tired of waiting. There was a left turn arrow and so you didn't obey the traffic device but it could also be you didn't follow a posted speed limit, which also falls within that general genre. We tend to see failure to obey cases though also with you didn't follow the law enforcement officer. That's a big deal. If there's a law enforcement out on the street directing traffic. Could be a concert, could be coming out of church, coming out of school. One, for the record, that's a dangerous job. That's a job that you're standing out there in the middle of traffic literally, hoping people are paying attention. Two, if you don't pay attention, and you're driving a 3000 pound vehicle, and you hit them, that's really, really, really bad. When you don't obey them, or you get frustrated because there's a traffic wreck that you don't see up above, and they say, “Go that way,” and you keep trying to drive or do whatever you want to do 'cause you got to get there when. They do not play those offenses and frankly I don't blame them. The point of the matter is, is that, if you have a ticket that says, “Failure to obey something,” and you have a court date, I think it's a really good idea that you call a lawyer, someone that's in court a lot. A lawyer who understands the nuisances of court and the interaction between the court system and DMV and insurance points and has enough experience and common sense to tell you, “This is what I think we could do, this is what I think you should do, here are options”. Please, if it's not us, call somebody. 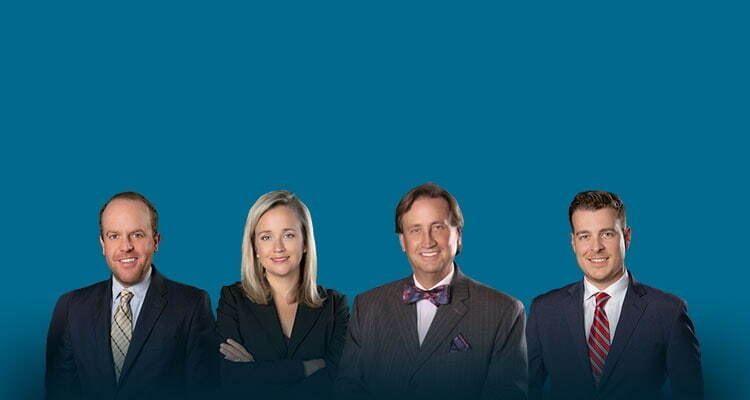 Consult with a lawyer, that consultation is free. When you call us, we are not going to send you a bill, there's no little timer going to say, “Oh that's six minutes, it's X amount of dollars.” We only send you a bill, we only send you an invoice if you say, we want your help. I want your help. Please send me a contract. Also, what you tell us is confidential, meaning that if you don't want to admit to your spouse that you got a ticket. I'm married for over 20 years, I'd admit it if I got a ticket, I don't know if I'd tell my wife. We're not going to tell them, we're not going to share that information. That's confidentiality. That's what that means. We take it seriously. Listen, I got neighbors I've represented before and my wife has no idea. We take that seriously. That is our professional duty and responsibility. Don't be afraid to call a lawyer. Don't be afraid to ask some questions, get information. 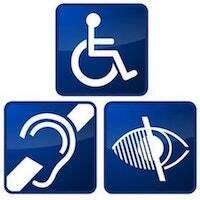 Good decisions are made and good information, we encourage you to call us. Seek help. That's our telephone number 704-342-HELP. That's what we are here for. Please give us a ring. Look forward to hearing from you.